Beautiful ruby color with aromas of sweet red fruit, bing cherry and raspberry. 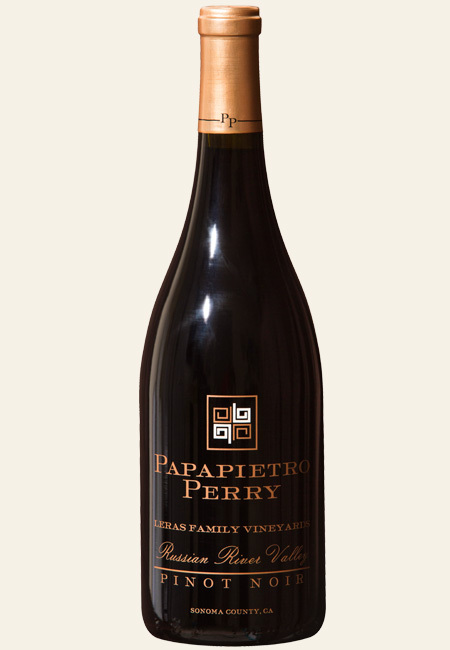 On the palate, concentrated flavors of Bing cherry and red apple skin with lingering cola and earthy notes. Medium bodied with bright acidity that provides a good backbone and impressive depth and concentration. The Leras Family Vineyards, located in the heart of the Russian River Valley off Woolsey Road and called God’s Little Acre, is planted with Pommard clones that are approximately 13 years old, as well as newer vine clones Beringer Heritage, 115, 667 and 777. This vineyard embodies earthiness and minerals, the signature of Pinot Noir grown in the Russian River Valley.